The study of three-dimensional reconstruction of objects and scenes has been and remains now a widely researched topic. It has been investigated for many applications, for instance, video game development, animation, movies, virtual reality, teleoperating surgery, among other engineering-related applications. In this book, Chapter One reviews preoperative planning and intraoperative navigation based on 3D modeling for retroperitoneal procedures. Chapter Two discusses fringe pattern analysis using phase shifting techniques applied to solid digitalization in Advanced RISC Machine (ARM) architecture. 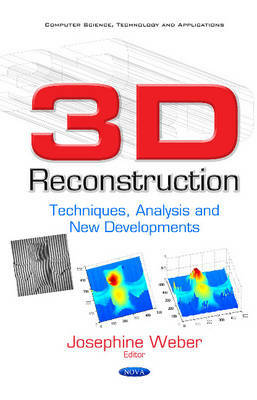 Chapter Three describes the steps for 3D digitalization using a Fourier Transform Profilometry (FTP). Chapter Four compares different wavelet transform for its use in 3D reconstruction.